Google blogged Sunday that it continues to be regularly disheartened by a portion of the removal requests it receives, requests which appear to promote "alarming" types of censorship. Political speech, in particular, is a growing request pegged for removal by many countries -- including Western democracies. Serving as a record of removal and personal user identification requests, Google's global Transparency Report offers worldwide insight into matters of politics, intellectual property and harassment. 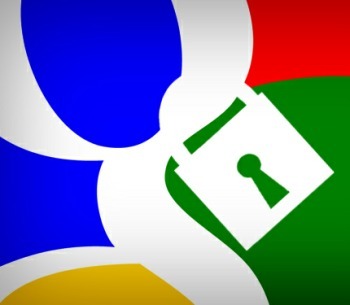 The report is perpetuated by Google in an attempt to maintain a certain level of transparency, as the company is often asked to strike controversial content from its services and divulge identifying information regarding certain users. Included in the report are the dates of and types of requests, the public and private entities who made the requests and how Google chose to respond to those requests. Just a couple of years ago, Google also added an interactive tool to view censorship and information requests, but the raw data remains available in a more familiar spreadsheet form as well. Marking the fifth release of the report, the search giant took a moment to reflect on some of the more interesting data points contained therein. For example, Spain petitioned Google to remove over 270 search results in which news media painted an unfavorable picture of its public officials. During the same period, a U.S. law enforcement agency petitioned Google to remove 1,400 YouTube videos for alleged harassment -- Google complied with neither request. By the way, U.S. requests more than doubled since last reporting period. Turkey's Telecommunications Communication Presidency of the Information and Communications Technologies Authority (yes, really) requested that Google remove several YouTube videos of Mustafa Kemal Atatürk, a pivotal Turkish political figure during the 1920s and 1930s. Google complied with one video as it contained "hate speech" but disregarded the others as they did not violate YouTube guidelines. Meanwhile, in the corporate world, Microsoft receives top honors for its myriad of copyright-related requests. Although Google rejects many requests, it complies with nearly as many. According to the company, it was complicit with roughly 65 percent of all court orders and 47 percent of informal take-down requests.